Guest Article: Do You Really Want to Build Your Dream Practice? There are many elements that must be in place to attain your dream practice. Many chiropractors spend a lot of time working on their clinical skills and their technique, then they spend very little time building their business skills, their money handling skills, their money saving skills, their debt reduction skills, and certainly, they spend less time building their promotion and marketing skills. Big mistake. A chiropractor is a doctor. A doctor is a teacher and teaching is selling. Being a doctor is selling. That means a doctor is trying to sell his or her patients on their ideas, their philosophies, and their recommendations. Many people say, “I don’t like selling.” Well, that’s too bad because as a doctor, you are selling. And the BETTER you are at it, the BUSIER you will be. Plain and simple. Chiropractors who are good at selling and persuading people to follow their recommendations have the biggest practices. Master the ability to consistently bring in new patients in and the dream practice is in view. Seek an overhead of 20% or less. Yes it can be done. Have an impeccably sharp personal image and image for your office. Provide a service and experience that people actually like. Not what you think they like. Have a philosophical foundation that is extremely solid and unwavering. Big belief in chiropractic = big chiropractic practice! Get your money handling, accounting, and financial house in serious order. Save money every week. You cannot retire on patient visits. Make sure you have clearly set goals that you can visualize very, very clearly. Make good Care Plan recommendations and payment arrangements for every patient. Life weights hard at least twice per week. Very important. Stop, drop you head and be thankful. Thankfulness brings your dreams closer to you! Get out there and use a variety of promotion and marketing avenues to increase that practice quickly. Continue with any marketing and advertising programs that you see fit to help your practice grow to any level you desire. Tory Robson, DC, DAAMLP is author of The Image Doctor and the 7 Pillar System for Professional Success. 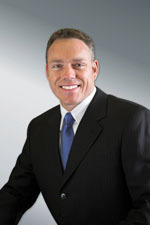 He is the founder of Winners Edge Chiropractic Consulting and is also a Bob Proctor Licensed Life Success Consultant. He consults and continues to practice in his new office in Eden Prairie MN. Dr. Robson can be reached at drtorychiro@yahoo.com or 952 943-2442.